Description Thank you for your interest in one of Matt Bowers Chevrolet's online offerings. Please continue for more information regarding this 2009 Chevrolet Traverse LS with 188,290mi. When you purchase a vehicle with the CARFAX Buyback Guarantee, you're getting what you paid for. Off-road or on the street, this Chevrolet Traverse LS handles with ease. This vehicle won't last long, take it home today. 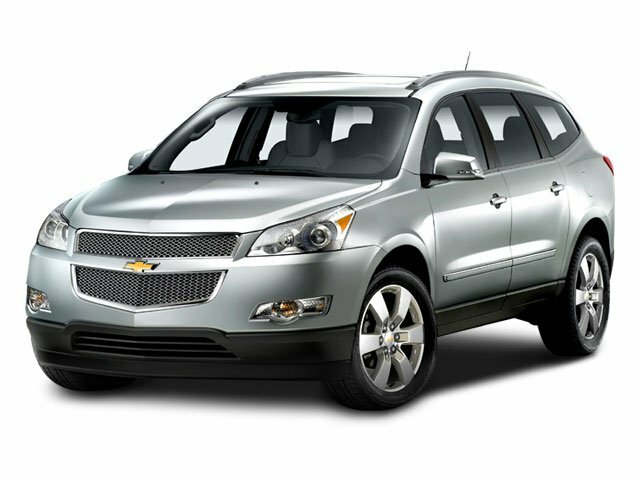 More information about the 2009 Chevrolet Traverse: The Traverse is a good alternative to traditional truck-based sport-utility vehicles like Chevrolet's own Trailblazer and Tahoe. Even though it's about the same size as those vehicles on the outside, it's more passenger-friendly, comfortable and fuel-efficient. At 205 inches long, the Traverse is somewhat larger than many crossover rivals like the Ford Edge or Toyota Highlander and may be a better choice for those who need extra space inside. While the Traverse spans a wide price range, with loaded LTZ models topping $45,000, the base LS is an especially strong value at under $30,000, especially considering the wealth of safety features. The Traverse stands out as one of few vehicles to get top ratings in all major crash tests, suggesting it's one of the safest vehicles at any price and an ideal family choice. Strengths of this model include very roomy, passenger-friendly interior, comfortable ride, fuel efficiency, and Softer, carlike styling Lifetime warranty is a limited Powertrain Warranty. Owner must follow manufacturers recommended maintenance on new vehicles as per owners manual. Covers select pre-owned vehicles five calendar years old or newer, with 80,000 miles or less. Other restrictions apply. See dealer for warranty details.